The MM1-0832HSM is a GaAs MMIC double balanced mixer that is optimized for high frequency applications. MM1-0832HSM is a high frequency X band mixer that works well as both an up and down converter through Ka band. This mixer offers low conversion loss and high LO to RF isolations at moderate LO powers. The sister MM1-0832LSM is recommended for low power applications. 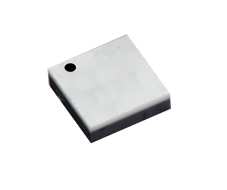 The MM1-0832HSM is available in a 3x3 mm QFN package. Evaluation boards are available. The electrical specifications apply at TA=+25°C in a 50Ω system. Typical data shown is for a down conversion application with a +18dBm sine wave LO input. Specifications shown for configuration A (B).